Skookum Jim Friendship Centre Annual General Meeting is held once a year in June. The Centre in Whitehorse bears the name of James Mason (1856-1916). 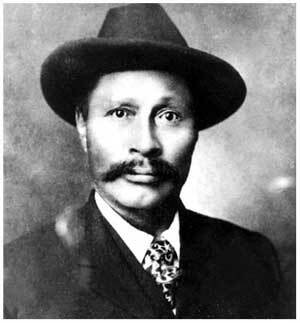 Mason otherwise known as Skookum Jim, a Tagish man of the Dak l’a Weidi Clan who discovered gold on Bonanza Creek in 1897 leading to the great Klondike Gold Rush. Skookum Jim was highly regarded by his people. Upon his death, Skookum Jim’s fortune from the gold rush was put in trust, and according to the terms of his will, the interest generated by the money was to be used to help obtain a better standard of health and education for Indian People in the Yukon. The trust fund is still in existence today and the interest generated is used to provide awards and recognition to Indian People who have helped their community. In 1960, the Native Advancement Group in the Yukon, made up of both native and non-native people concerned about the difficulties that native people were facing adjusting to life in the city of Whitehorse, embarked on a project to build a community hall that the native people could call their own. On January 31, 1961 plans were first announced to build a meeting center to be a non-denominational center for Indians in Whitehorse. Construction of the Skookum Jim Memorial Hall was finished early in the year of 1962. The Operating committee held its first meeting February 7, 1962. For the first few years the Hall was only opened on a part-time basis. Committee members were volunteers who relied on donations and fund raising. The Skookum Jim Friendship Centre is the oldest native organization in the Yukon. The Yukon Native Brotherhood, Yukon Association of Non-Status Indians, Yukon Native Youth, Yukon Native Women, Yukon Native Court Workers, and Yukon Indian Women’s Association all took birth at the Centre. The Skookum Jim Oral History Program, Yukon A.I.D.S. Programming, Native Court Worker Trainee Program, Hawshagoonca-coo Cultural Program, and the Yukon Alcohol Community Action Program are some of the programs that were started out of the Centre. The Centre helped establish and sponsored the start of the Yukon Association of Non-Status Indians ( YANSI ), Crossroads Halfway House, Yukon Alcohol and Drug Services, and Skookies Educational and Recreation Counseling Haven Program ( SEARCH ) to name a few. During 1970 the Skookum Jim Memorial Hall joined the National Association of Friendship Centres (NAFC) and the Hall was designated as the Skookum Jim Friendship Centre for Whitehorse. In order to operate as a Friendship Center several changes were necessary including new funding arrangements and an increase in the Native membership. Negotiations were started with the Federal and Territorial Governments regarding the establishment of a cost sharing agreement by which the friendship center would be funded. In the spring of 1983 a training program was set up employing members from the Yukon Bands. The trainees were able to upgrade their carpentry skills while at the same time the Centre was completely stripped and rebuilt. In February of 1984, the newly renovated building was completed and the Centre celebrated its twenty-second birthday. Today with the support of its directors, staff, members and the community the Skookum Jim Friendship Centre is stronger, more secure than ever, and faces an active and promising future.